Employee disengagement ranks in the top 5 of the things that keep HR professionals awake at night. 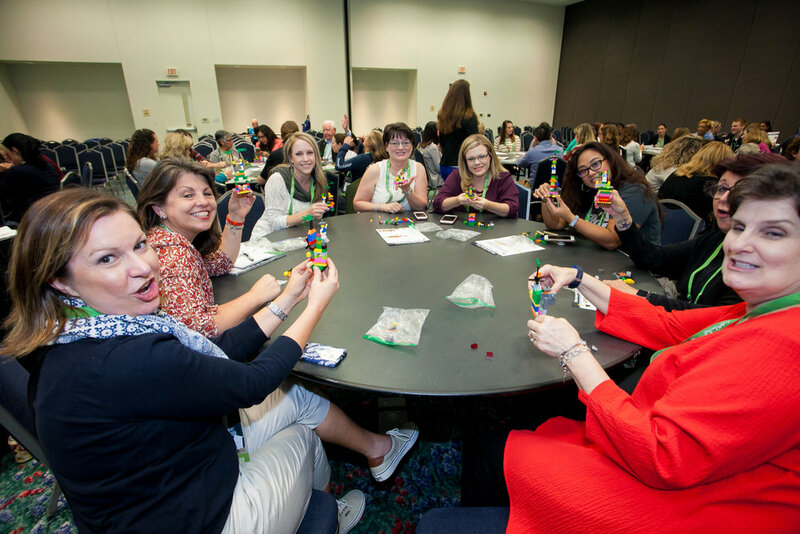 trainIT was invited to come to Fort Worth TX to present the LEGO® Serious Play® methodology for improving engagement to 100 HR professionls at the annual HRSouthWest conference. 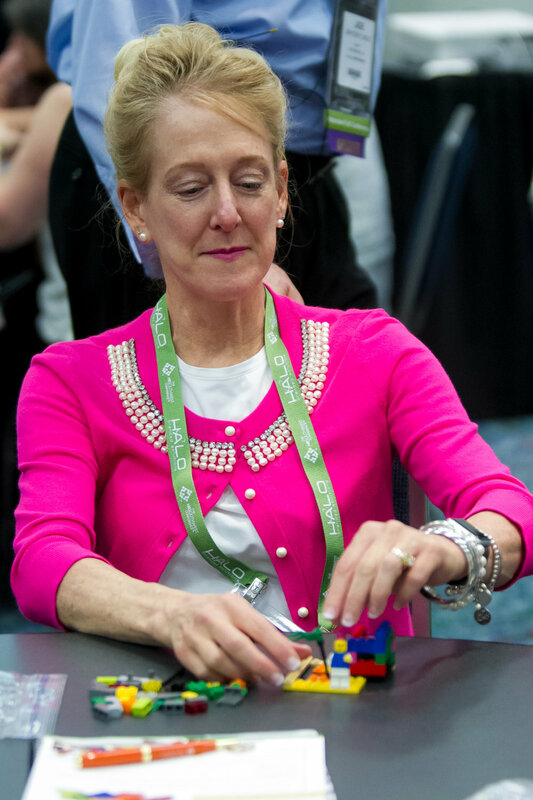 All LSP sessions start with a skills building exercise to get everyone comfortable with the bricks and the process. It’s a bit of a time hit but it’s absolutely essential to the success of the workshop.We started the heart of the session with a light review of how we look at conflict today. 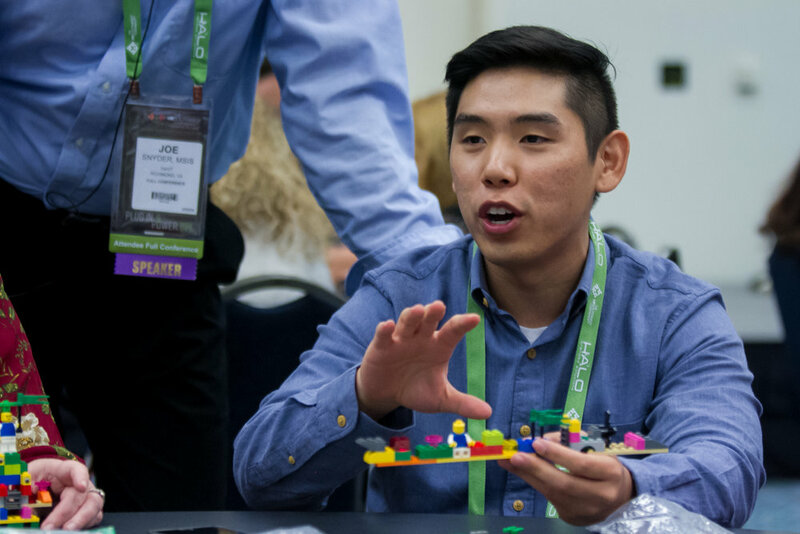 Then we examined how LEGO® Serious Play® can help teams and organization achieve the win-win style associated with the integrating model. 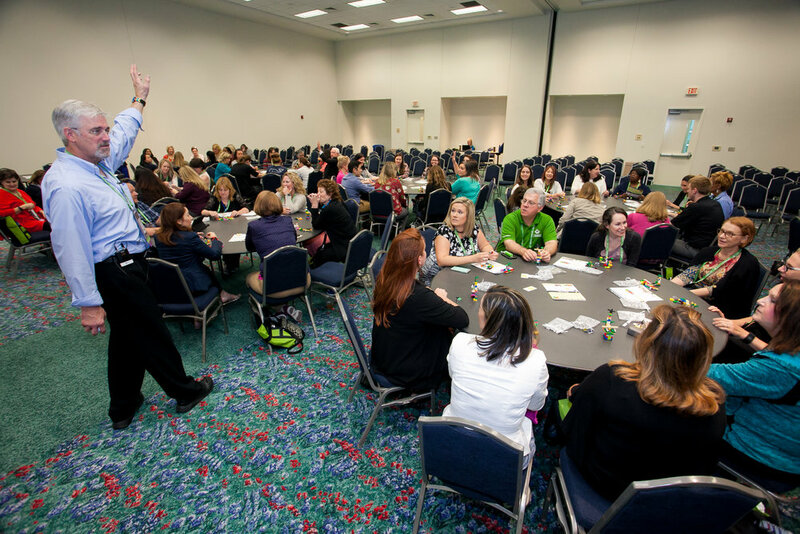 The best workshops use real examples; and as such, we engaged our HR specialists to share firsthand examples of conflict that lead to disengagement at work. Once we identified an example, we quickly began mapping a plan and model for improving engagement. 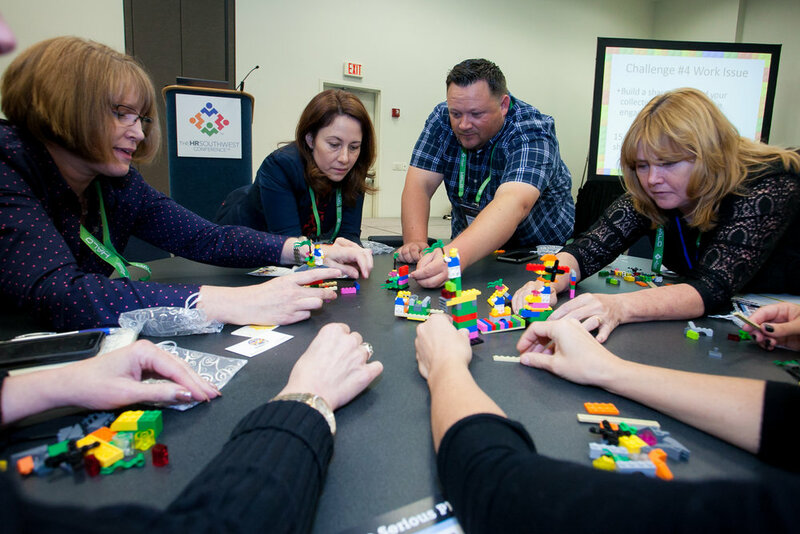 This was predicated on turning a conflict into a positive experience through the use of the LEGO® Serious Play® facilitation method. 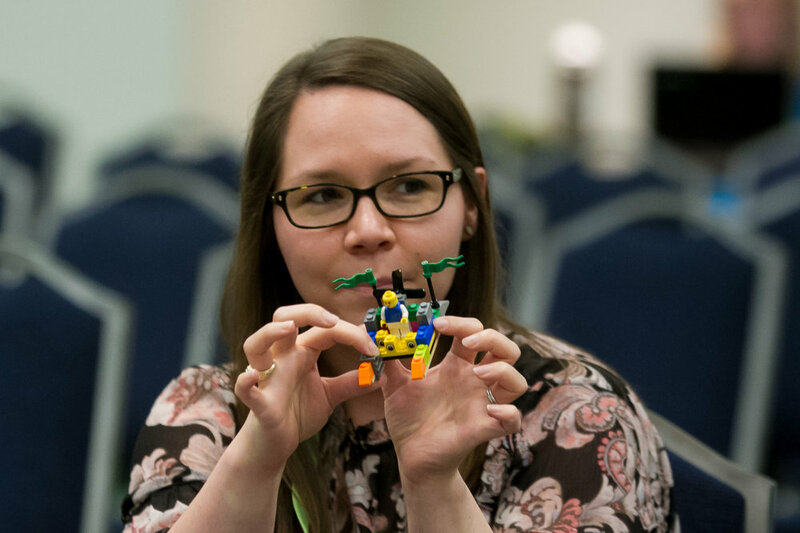 Part of that process revolves around building and sharing which is a vital part of all LEGO® Serious Play® sessions. We set them on the path of building a 3D representation of the thoughts, methods and causes of conflict. The real magic happens when they take their individual models and begin to combine them to create a shared model. This shared model incorporates all of the various ideas and perspectives synthesized down into a single model. You can tell by the faces that we were really making them work hard! Time after time when we do these workshops we realize just how powerful it can be to get everyone involved. To have every voice be heard, every idea shared and every person 100% involved and engaged is a winning strategy. Think of the problems we could solve or the innovation we could discover if all our important discussions had this level of engagement. 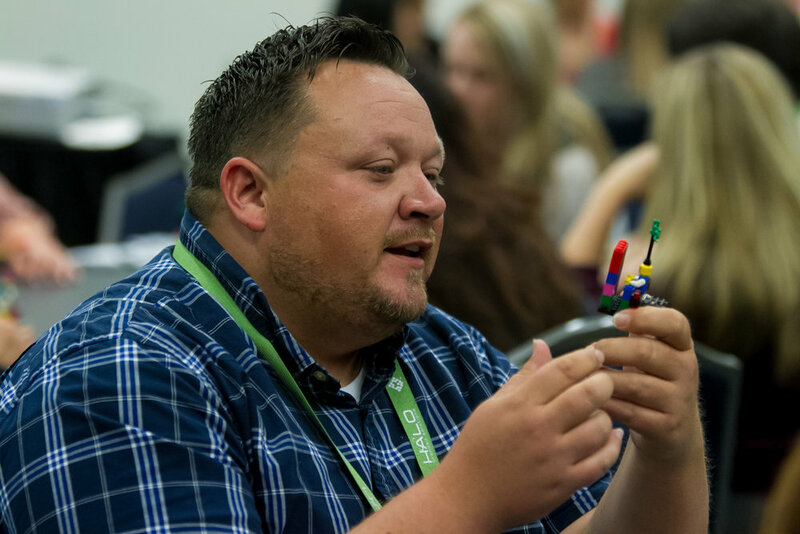 Learn how we solve problems and put smiles on faces with LSP workshops! I've read enough. I want to to book a workshop!